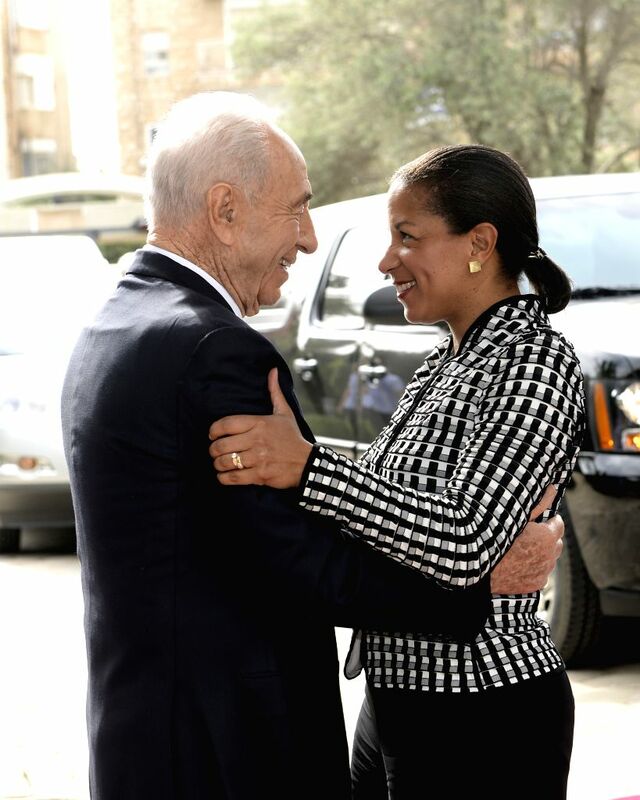 JERUSALEM, May 7, 2014 - Israeli President Shimon Peres (L) greets U.S. National Security Adviser Susan Rice at the President's Residence in Jerusalem, on May 7, 2014. U.S. National Security Adviser Susan Rice arrived in Israel Wednesday on a two-day visit expected to focus on Iran. Rice met with Israeli Prime Minister Benjamin Netanyahu and President Shimon Peres in Jerusalem on Wednesday. 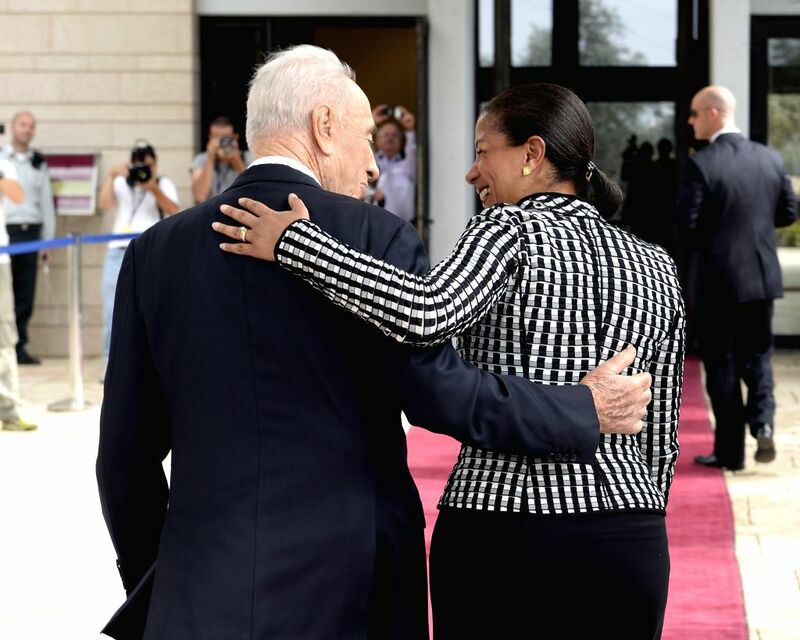 Israeli President Shimon Peres (L) welcomes U.S. National Security Adviser Susan Rice at the President's Residence in Jerusalem, on May 7, 2014. U.S. National Security Adviser Susan Rice arrived in Israel Wednesday on a two-day visit expected to focus on Iran.